Whether you're still cleansing after the holidays, trying to impress your dinner guests, or want to present a salad your kids will actually love—this is for you! 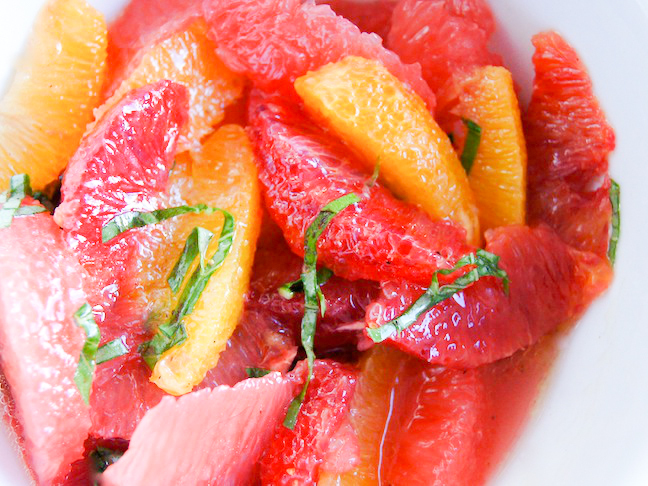 At the moment, grocery stores and local farmer's markets are overflowing with sweet, winter citrus. 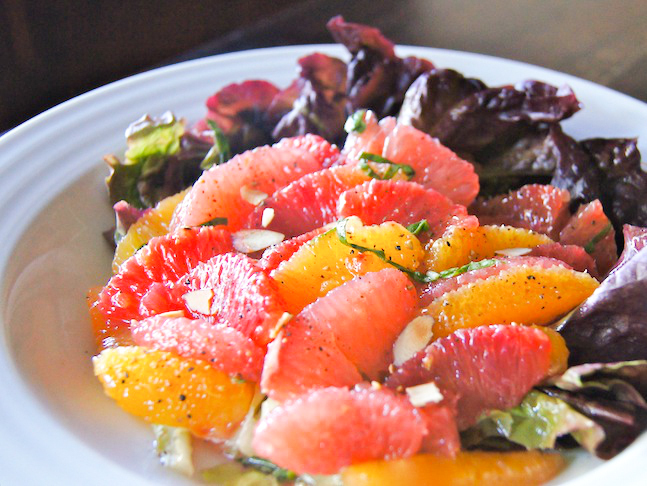 A combination of citrus varieties make for a beautiful, delicious, and colorful winter citrus salad that's full of nutrients and free of fat. Enjoy! 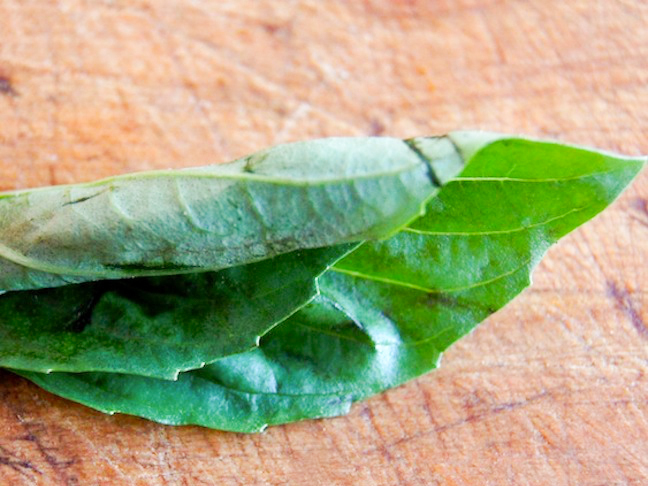 Step 1: Place the basil leaves on top of each other, in a small pile. 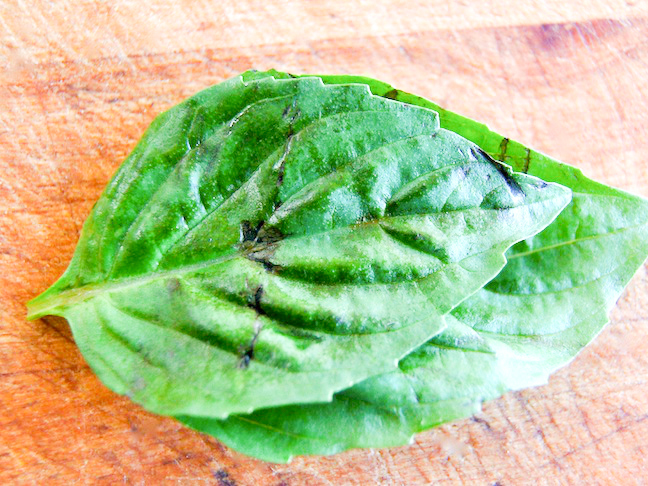 Step 2: Roll the basil leaves up tightly. 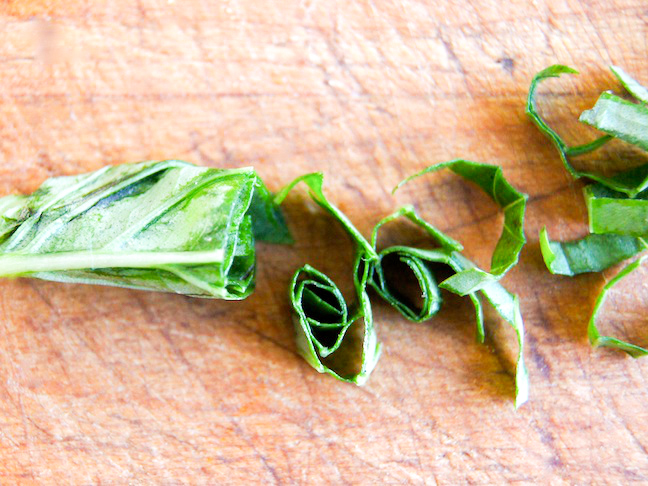 Step 3: Slice the rolled basil leaves into thin strips. 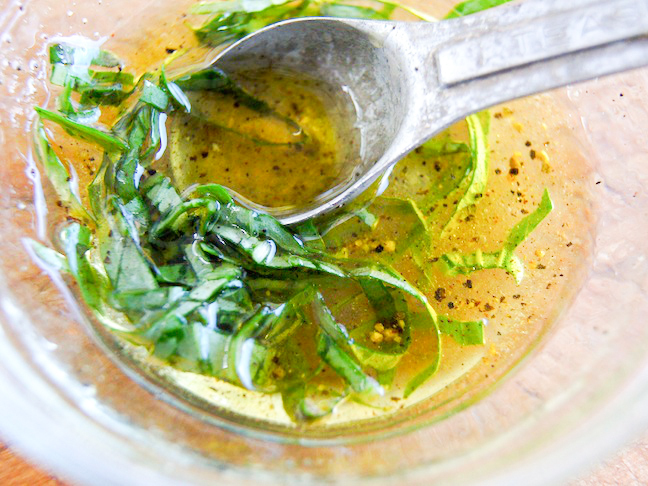 Step 4: Add the basil to a small mixing bowl, and gently stir in the vinegar, lemon juice, vanilla, sugar, and salt. Then gradually whisk in the oil. Set aside. 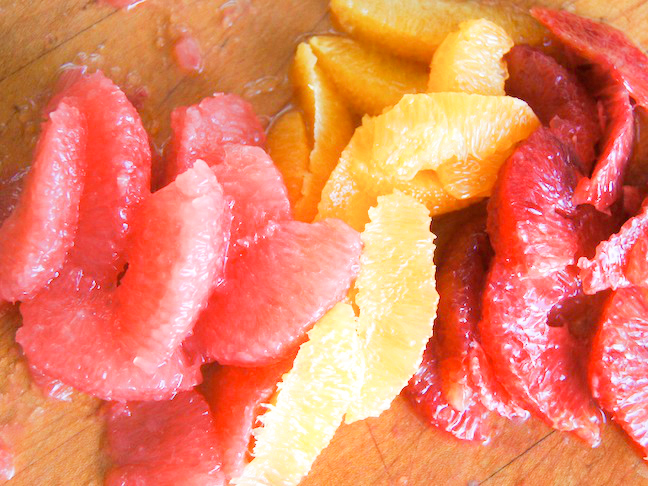 Step 5: On a cutting board, use a paring knife to cut about a ½ inch off the top and bottom of each citrus fruit. Now, to remove the skin, set the fruit down on one of the flat surfaces and use the knife, moving slowly downward into the fruit and cutting only slightly into the flesh. 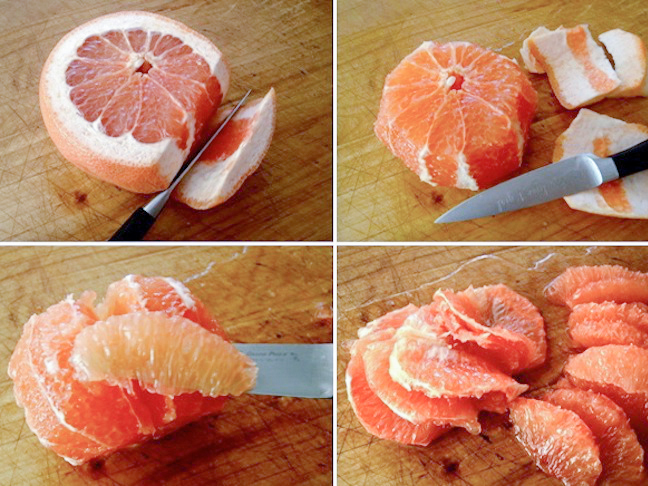 Step 6: Once you’ve removed all of the skin, use the paring knife to slice just inside of each citrus segment, and gently lift the fruit out with the knife. Step 7: Add the citrus to the bowl with the dressing and gently mix to combine. Step 8: Add a lettuce leaf to four separate serving plates, and arrange about a fourth of the dressing-coated citrus fruits to each one. Step 9: Sprinkle each salad with a bit of the toasted almonds and a pinch of freshly ground black pepper.